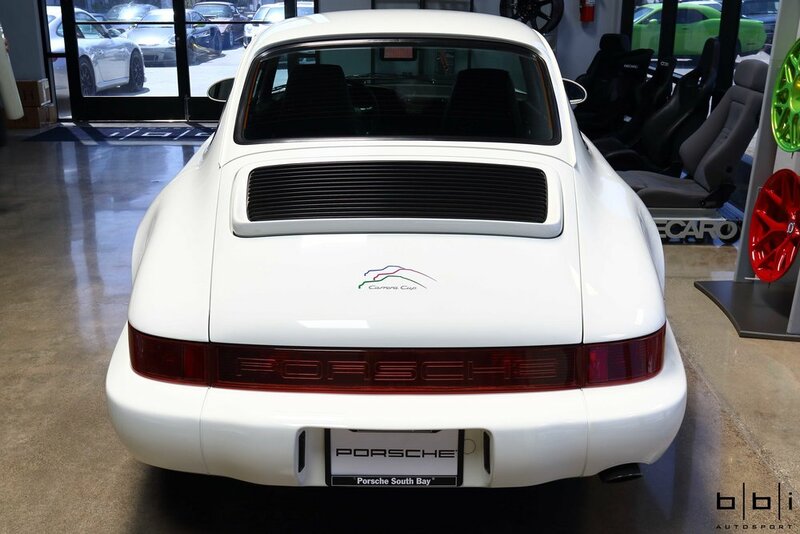 Not your typical 964 Carrera.Brought over to us by Porsche South Bay dealership to custom fit a Momo steering wheel and a set of Recaro seats, this 964 Carrera Cup USA edition is one rare car. Only 45 were imported into the United States to compete in a race series that was canceled due to lack of sponsorship support. Slated to be a racecar, all creature comforts such as air conditioning system were removed and goodies such as lightweight magnesium wheels were added. These Recaro Pole Position leather racing seats will be mounted on our BBi Autosport Seat Base kits to achieve the lowest position. 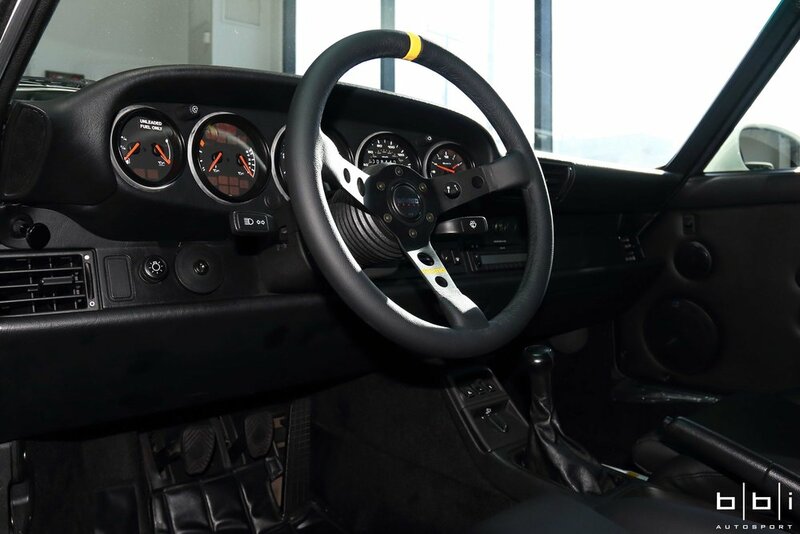 Recaro Pole Position Leather Seats & MOMO Mod 07 Black Leather Steering Wheel installed, resulting in both a stylish and functional upgrade.